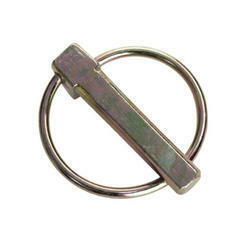 We manufacture Linch Pins using quality tested raw materials that are sourced from the trusted dealers in the market. These pins protect the wheel from sliding from various kinds of vehicles. These are available in various sizes, diameters and can be customized according to the specifications of the customers. We offer these to our clients at realistic prices in the market. Linch Pins are used in various tractors joints and other automotive components.